Kitty Hawk Kayak and Surf guides continuing a long standing tradition of gracing the covers of the travel sections of major US newspapers. Our lead instructor Herman Hall has taught people how to surf on four continents and is the area’s first licensed surf instructor and surf coach through the National Surf School and Instructor Association (NSSIA). Put that with our experienced staff, perfect beginner surfboards, warm water and consistent waves, and you have the perfect recipe for shredding. Our typical Kill Devil Hills Surf Lessons last 1.5 hours and begins with a safety talk and learning the anatomy of a surfboard. Next paddling techniques, balance and feet positioning are discussed. Participants then practice popping up onto the surfboard on the beach before getting wet. The instructor is there to help you catch waves and answer any questions you might have about surfing, the ocean, waves, or surf culture. Remember to always respect the ocean and never paddle out in unsafe, stormy or ocean conditions beyond your ability. 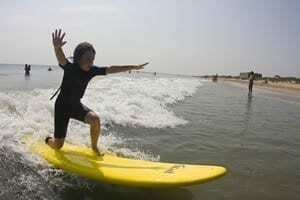 We offer daily Corolla Surf Lessons and surf camps at the best sand bars for learning how to surf. Corolla’s beaches are some of the best beaches to learn how to surf in the entire East Coast. If a group lesson isn’t your thing, we also offer daily private surf lessons and can even come to your beach house for extra privacy. Kitty Hawk Kayak and Surf School has been teaching people to surf for 10 years on the Outer Banks. Our certified NSSIA Surf School has long been the leader for surf lessons and surf camps on the OBX. Our lead instructor Herman Hall has taught people how to surf on four continents and is the area’s first licensed surf instructor and surf coach through the National Surf School and Instructor Association (NSSIA). Put that with our experienced staff, perfect beginner surfboards, warm water and consistent waves, and you have the perfect recipe for shredding. Check out our Corolla Surf Lessons and start shredding this summer. Free wetsuit rental if the water is cold. The calendar below is subject to change depending on weather, demand and environmental changes and other factors. Please call us at (252) 261-0145 or 1 (866) 702-5061 for the latest and most accurate availability. Come and experience this rare Salt Marsh Ecosystem on our Cape Hatteras National Seashore Kayak Tour. Another recent addition to the Kitty Hawk Kayak & Surf School ecotour quiver, the Cape Hatteras National Seashore Kayak Tour is a must do on Hatteras Island. On this kayak tour, we frequently spot ospreys, pelicans, herons, egrets, ibis, terns, rails, skimmers, wrens, and warbles just to name a few. We will tour the salt marsh canals and flatwaters of the Pamlico Sound. This tour location also packs a punch with its unreal sunsets!!!! 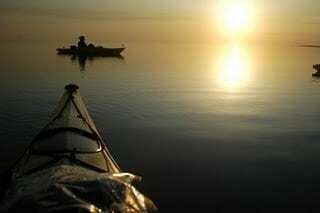 This prime kayak tour ecosystem is centrally located South of Salvo in the Cape Hatteras National Seashore. This location is ideal for folks staying on Hatteras Island in Rodanthe, Waves, Salvo, Avon Buxton, Frisco or Hatteras Village. 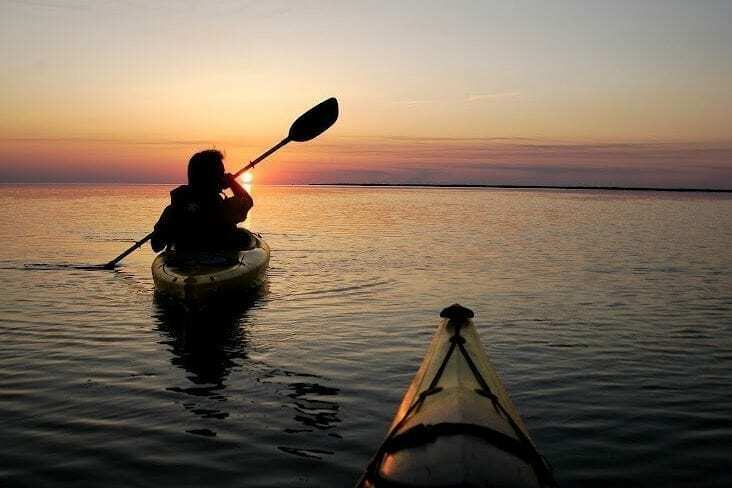 Kayaking in the Cape Hatteras National Seashore is a must do for visitors to Hatteras Island so let Kitty Hawk Kayak & Surf School show you the beautiful, pristine estuarine environments on the Cape Hatteras National Seashore Kayak Tour. This is a killer place for beginner and experienced kayakers alike. Meet at the Salvo Day Use Area south of Tri-Villages Rodanthe, Waves Salvo on Route 12.